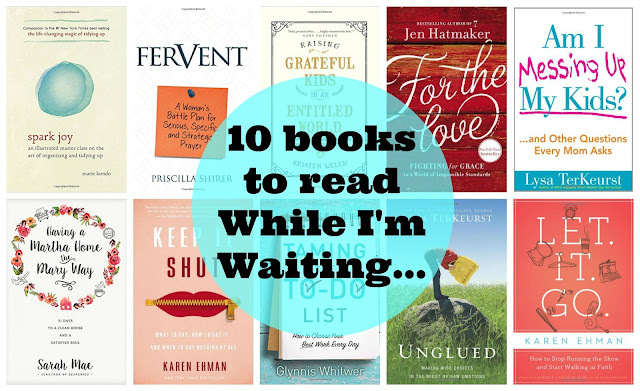 While I'm Waiting...: 10 on Tuesday - 10 books I want to read! Today I'm joining Karli at September Farm for her new linkup - 10 on Tuesday. Make a list of 10 anythings - no explanations needed. I mean, you can if you want to, but you don't have to. Karli, you had me at "make a list"! Do you see a theme here? Praying. Parenting. Organizing. Letting things go...! I've had many of these books in my Kindle library for quite some time. I'm not a fast reader and truly must take notes in order to remember what I read. But, I really would like to commit to catching up and reading some of these books soon. Have you read any of them? Which one should I start first?! Can't wait to read the other 10 on Tuesday posts! 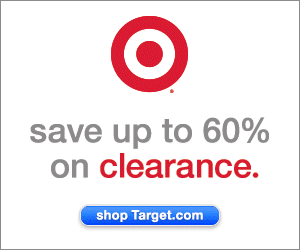 This post contains affiliate links, which means that if you click on the link(s) and purchase an item I receive a small commission. Ooo I think I need to read Keep it shut!! I'm always talking wayy too much! That is a great reading list. Having a Martha Home the Mary Way looks very interesting. 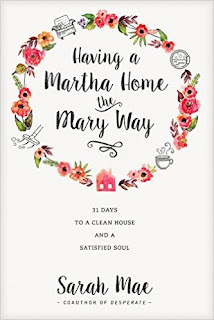 Having a Martha Home the Mary Way is definitely at the top by my list! I listened to a podcast about Raising Grateful Kids in an Entitled World. I'm very interested! You list looks great! Thanks, Jennifer! So many of these have been on my radar for so long - it's just finding the time to read them. The conditions have to be just right for me to read! ;) Let me know if you dive in to Raising Grateful Kids! Definitely! Thanks so much for stopping by! Hope you are having a great week! 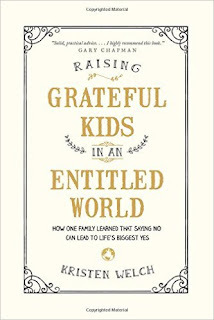 Raising Grateful Kids is an incredibly good book! It's one of those I know I'm going to want to highlight and take notes over!!! I can't wait to dig in! I've read 3 of the 10... I should add the other 7 to my list! Summer book club? You'll have to let me know which one you're reading and what you thought about it! Thanks for stopping by! Holly - This a great list of books to read - I have some of the same ones on my night stand, on my kindle and now a few more to look into. Thanks for sharing today at #WomenWithIntention where we are neighbors! Happy reading. Great minds think alike! Let me know which one you read next and what you think about it! I'm eager to cross some of these off my To Read list! Great list, Holly! I've been blessed by a fair number of the books you recommend, and am making note of the rest! Super! You'll have to come back and tell me which books you're reading! I'm eager to get started! I loved this idea for a linkup! And I so enjoyed scrolling through your 10. Several I have read - a few I have not & so now I can add them to my own. I think this was my first time visiting here so.... "Nice to meet you" I am glad to have stopped by from Thurs. Favorite Things. No! 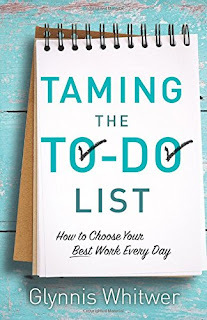 Never too much Jen Hatmaker! I'm anxious to start the Martha/Mary book too! I wish I was more of a Mary but I'm SO a Martha! Come back and let me know if you read anything from this list! Would love your feedback! This long list makes me want to start reading novels again!! Thanks for Sharing at Thursday Favorite Things! I'm anxious to dive in and start checking some books off my list! Thanks so much for stopping by! Hope you're having a great day! Yeah! You'll have to let me know which ones you read! I'm so ready to get started and cross some of these off my to read list! Fun list, and fun linky idea! Thanks for sharing :) Found you at Awesome Life Friday! Hi, Sarah! I'm so glad you stopped by! Hope to see you back soon! Hi Holly, I found you from Shelly's page. I love this list! If you ever think of doing a book club....I am in the area and would love love to be apart of one. I was apart of a book club in San Antonio and it was great fun and a wonderful time of fellowship. Hi, Crystal! I have never been a part of a book club but it sounds fun! Email me and maybe we can work out some details for a summer one!!! Thanks so much for reaching out! List of 10 things - what a fun idea! I'll have to file that one because that would be fun to do. And frankly, I'd like to read every single one of these books too - you have great taste! Except "For the Love", which I already have and may I just say - don't use it for night reading and expect to go to sleep because belly laughs are NOT conducive to sleep! LOL!!! She's so funny. Have a great Monday, Holly - I'm catching up on my Tuesday Talk reading! 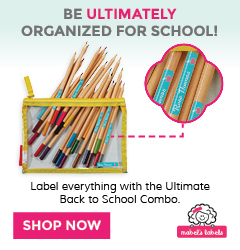 This is definitely a super fun link-up! Thanks for your sweet comment! I'm eager to get started with these books! The conditions have to be just right for me to dig in with reading! :/ HAHA - I'm so glad you told me about For the Love! I was watching Bachelor bloopers the other night and woke up my husband with my giggling! These all look like great reads! I want to download #3 to my Kindle. Thank you for sharing these with us over at the Welcome Home Wednesdays Link Party! Thank you so much for hosting! I'm eager to get started reading #3 too! You'll have to let me know what you think about it! These all look like great books! 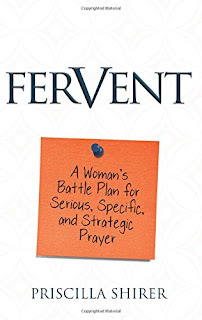 I have Fervent on my bookshelf and I need to read it soon! I have heard a lot of great things about it! I've heard great things too! Can't wait to read it! Hi, I'm visiting from Grammie Time's Party at My Place. I read Keep It Shut last year. It's great! 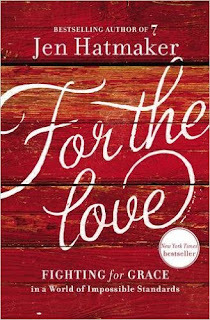 For the Love has been on my to-read list for awhile. Just haven't gotten to it yet. I hear great things about it, though. Seems like several blogs have mentioned it lately. Hi, Patti! Welcome!!! I've finished For the Love and it is fantastic! She covers a vast amount of topics but ones that we all can relate to! She had me laughing, crying, thinking, and left me inspired - signs of a great book! 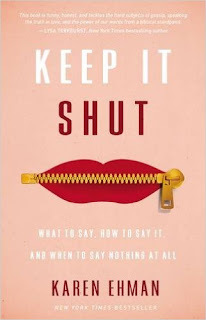 Keep it Shut is definitely one I'm looking forward to reading! 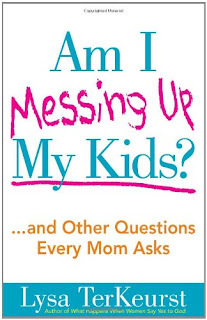 These all sound pretty good... but I am so bad at actually reading parenting and self help books; I tend to just check them out, bring them home and then return them. I'm an incredibly slow reader and I'm terrible at retaining information. For the parenting and self-help ones, I even take notes just so I can remember stuff - which leads to it taking me longer than most! But, I have finished For the Love (yay!) 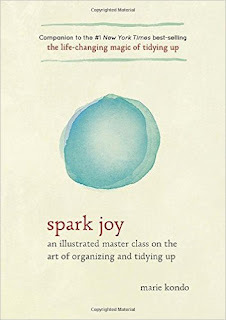 and have started Spark Joy and Fervent. Thanks so much for stopping by! Hope you have a great start to your weekend! These all sound like excellent books! 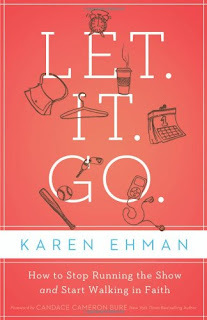 I have lent Fervent to several friends and they loved it, so I really need to read it soon! I would love to hear what you think of it once you read it! I'm in the middle of it right now. I'm an incredibly slow reader so it takes me a while to get through them! I'll keep you posted! It's definitely worth the wait! You'll have to let me know how you like it!!! For the Love was such a fantastic read.